The grapes for this wine come from hillside vineyards belonging to established growers who have been working with Pio Cesare for generations and work according to their direction and with strict quality controls. 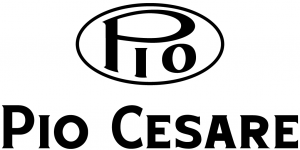 Leading Bordeaux consultant, Denis Dubourdieu has been working with Pio Cesare since the 2012 to better the quality of their white wines. The grapes are picked by hand and then gently pressed. The grapes are fermented in stainless steel tanks at low temperatures to preserve the aromatic compounds. The wine remains on its lees for four months before bottling the March following harvest. Pio Cesare’s Gavi has a lovely freshness, with aromas of citrus zest and apple, with ripe fruit and zestiness on the palate. It is restrained and elegant with a long, expressive finish. Great with salad, antipasti, creamy pasta sauces, risotto, any grilled fish, or just on its own.